AVR Consulting Ltd., Northwich, Cheshire, U.K.
Acne vulgaris is a multifactorial disease of the skin in areas rich in sebaceous follicles. It is characterized by seborrhea, hypercornification of the infundibulum (the neck of the sebaceous gland), and the presence of comedones and inflammatory lesions such as papules and pustules. The inflammatory pathway is mediated by antigenic and inflammatory products of Propionibacterium acnes (1). Although acne is mostly associated with puberty, persistent or late onset acne may be similar in physiology to pubertal acne, with hyperandrogenicity and increased sebogenesis, being the key factors (2). The hyperproliferation of the infundibulum keratinocytes, characterized by the expression of the hyperproliferative marker proteins, Ki67 and K6/16, and the resulting immature stratum corneum does not desquamate efficiently, leading to clumps of squames that attach to the hair follicle causing a blockage to sebum flow. Hypercornification of the infrainfundibulum is an early feature of the microcomedones, preceding the clinically observable inflammatory process (3). Hypovitaminosis A has been proposed as an inducer of sebogenesis, as retinoids suppress sebogenesis. Follicles with a high sebum output are thought to become deficient in vitamin A, which will disturb the keratinization process of the infundibulum of the gland, culminating in the initial formation of microcome-dones in these glands (4). Recently, comedogenesis has been related to a subclinical microinflammatory state in the sebaceous gland (3). The increased interleukin-1 levels may influence the production of other growth factors by fibroblasts that then cause the ductal hyperproliferation and faulty differentiation (5). Increased transcription factor signaling occurs following binding of the cytokines to their receptors, activator protein-1 (AP-1) and nuclear factor kappa-b, thereby activating the signaling pathways. As a result, suppression of these signaling pathways will be beneficial for acne. Retinoids can improve epidermal differentiation, reduce sebogenesis, and decrease AP-1 driven inflammatory pathways. It is not too surprising, therefore, that this class of agents improve the acne status. This chapter reviews the molecular biology and biochemistry of this important class of molecules. FIGURE 1 Classification of nuclear and orphan receptors. Abbreviations: LXR, liver-X-activated receptor; PPAR, peroxisomal proliferators activated receptor; RXR, retinoid X receptor; TR, thyroid hormone receptors, 9cRA, 9-cis-retinoic acid. receptors include the retinoid X receptors (RXRs). These retinoid receptors are active as heterodimers (typical receptors are illustrated in Fig. 1). The two classes of nuclear receptors mediate the action of endogenous retinoids (7). Both types of receptors are composed of three subtypes (alpha, beta, and gamma) (8). Each subtype consists of six distinct domains referred to as A to F based on homology with other members of the nuclear receptor superfamily (Fig. 2). Domains A and B are at the amino terminal and contain isoform-specific ligand-independent transactivation function-1 (AF-1). The DNA-binding domain (C or DBD) is highly conserved and contains two zinc-binding motifs responsible for the recognition of the retinoic acid response element (RARE), located in the promoter region of target genes. The E domain is the ligand-binding domain (LBD) and is responsible for the dimerization of the receptors, ligand-dependent transcriptional AF-2, and translocation to the nucleus (Fig. 2) (9). The DNA response element of nuclear receptors comprises of two hexameric motifs with the nucleotide structure AGGTCA. The organization of these repeat palindromes and the length of the nucleotide spacing between the two hexamers determine the binding specificity of a particular receptor. The simplest is the direct repeat-1 of the RXR-RXR homodimer, RARE. However, the polarity of binding to the response element is reversed in these receptors with the RXRs occupying the 50 half-site when coupled to the RAR (9). FIGURE 2 Schematic overview of the retinoic acid receptor/retinoid X receptor, receptor dimerization, and binding to the retinoic acid response element in the promoter region of a gene. Abbreviations: AF, activation function; DBD, DNA-binding domain; LBD, ligand binding domain; RA, retinoic acid; RAR, retinoic acid receptor RXR, retinoid X receptor. is gamma and 13% alpha. Only small amounts of RAR beta are found in dermal cells and melanocytes. Human sebocytes in vitro also express mRNA or RAR alpha and gamma together with RXR alpha. Although both all-frans-RA and 9-cis-RA bind RAR in vivo, RAR gamma preferentially binds all-frans-RA. Both 9-cis-RA and 13-cis-RA can be isomerized to all-frans-RA. The isomerization of 9-cis-RA has been reported to occur in keratinocytes (8). The ligand-binding pockets of nuclear receptors have been determined by X ray crystallography (10). This domain consists of a series of alpha helices that give rise to a novel antiparallel alpha-helical sandwich. Side chains of the amino acid, which constitute this structure, also include the homo- and heterodimeric interfaces and the surfaces that provide binding sites for the nuclear corepressor and coactivator molecules (Fig. 2). Binding of ligands to the LBD induces conformational changes in the receptors (11). Although this is true of all the ligand activated nuclear receptors, it is particularly true of the RXRs. The ligand-binding pocket is a deep hydrophobic pocket within the LBD, and it is different in its architecture, which plays a significant role in contributing to the different ligand-binding properties. For instance, in the peroxisomal proliferators activated receptor, the ligand-binding pocket is relatively large (1200-1500 nm3) and when ligands bind to these receptors they occupy only a small fraction of the available volume usually 15% to 25%, the rest being occupied by water molecules (12). The large binding pocket and the limited number of ligand-receptor contact points result in a relatively low affinity of binding of ligands to these receptors and because of the large pocket, the receptor is promiscuous and binds a diverse range of molecules. In contrast to these low affinity receptors, the other nuclear receptors have a much higher affinity for their ligands. In general, the ligand-binding pocket is much smaller (400-500 nm3), and the ligand occupies a high fraction of the available volume; for example, 9-cis-RA occupies 75% of the ligand-binding pocket of RXR alpha while all-trans-RA occupies 60% (13). The ligand-binding pocket of the RARs can accommodate both the all-trans-RA and 9-cis-RA, but due to the bulkier side chains of the aminoacid residues of the RXRs, it only permits binding of 9-cis-RA. One important region of the LBD is the dimerization interface (14). For the RARs, symmetric assembly of the dimerization interface to form homodimers is energetically unfavorable. Asymmetric interactions between the interfaces of the RXR give rise to an extended area of intermolecular contact that stabilizes hetero-dimer formation. The RXR is unique among the nuclear receptors, having a dimer-ization interface that is stable in both the symmetrical configuration (RXR/RXR homodimers) and the asymmetrical confirmation (RXR/RAR heterodimers). The RXR homodimer (but not the heterodimer) generates a new dimerization interface that allows tetramer formation, and a large fraction of the unliganded RXRs is also found in this formation. Binding of ligands to the apo-RXR tetramer induces confor-mational changes that destabilizes the tetramer conformation to form homo- or heterodimers. In the tetramer form, however, even though the homodimers of RXR do not bind all-trans-RA, the distorted ligand-binding pocket binds it but does not induce dissociation of the tetramer format. In fact, all-trans-RA can act as a competitive antagonist of ligand-induced RXR tetramer dissociation. In this tet-ramer state, the RXRs cannot bind corepressor or coactivators and are sequestered in a transcriptionally inactive pool called "auto-silencing." Thus, one of the ways that RXR ligands can activate transcription is by increasing the pool of RXRs available for heterodimerization with RARs (10). Liganded RXRs preferentially form homo- or heterodimers. The interface between the receptors in heterodimers such as RXR/RAR is substantially larger than the dimer interface (550 vs. 500 nm3), resulting in a preferential formation of hetero- versus homodimers. Binding of 9-cis-RA to the RXR also results in confor-mational changes that generate an agonist confirmation, dependent on the binding of coactivator molecules. The initiation of a "mouse trap-like" configuration induces structural changes in the protein in such a way that it not only closes the lid of the ligand-binding pocket, but also simultaneously generates a high affinity coactivator-binding site. In the presence of partial agonists like oleic acid, the structural changes cause transrepression rather than activation (10-14). 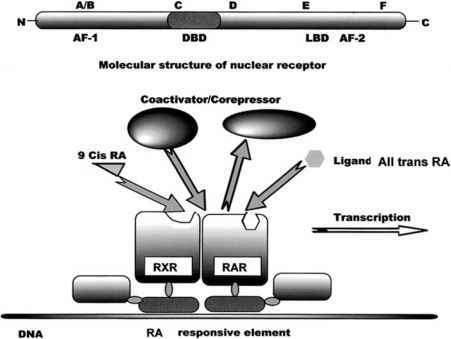 RXR ligands can alter RXR activity both by altering the availability of RXRs for heterodimer formation and by altering the intrinsic transactivation activity of heterodimeric complexes and receptor degradation pathways. Ligands can accelerate the degradation of the receptor, particularly through the 26S proteasome complex. Binding of ligands to the different isoforms could induce degradation of both receptors or the selective degradation of only one receptor. It can also depend on the subisoform in each receptor class. FIGURE 3 Schematic overview of coactivator/corepressor and histone deacetylase proteins and their functions in chromatin condensation and gene activation. Abbreviations: HDAC, histone deacetylase; NcoR, nuclear receptor corepressor; SMRT, silencing mediator for retinoid and thyroid; SRC, steroid receptor coactivator. DNA, histones, and nonhistone proteins. A nucleosome is the basic building block of chromatin, which contains 147 base pairs of DNA wrapped around a core of four histone partners—an H3-H4 tetramer and 2 H2A-H2B dimers. When condensed, this structure represses gene transcription. In the absence of the ligand, the nuclear receptors recruit nuclear corepressor proteins, nuclear receptor corepressor or the silencing mediator for retinoid and thyroid hormone, and Sin 3, which in turn forms a complex with histone deacetylase enzymes (HDAC) resulting in transcriptional silencing of the genes (Fig. 3). This suppression occurs because deacylation of the histone proteins creates conformational changes in the chromatin structure, limiting the access and binding of the nuclear receptors and RNA polymerase to the related genes. At physiological concentrations of RA (10"9-10"8 M), the nuclear cor-eppressors and HDAC are dissociated, which in turn results in recruitment of coactiva-tors with histone acetyltransferase activity such as the steroid receptor coactivator-1. Acetylation of lysine residues in the N-terminal of histones opens up the chromatin structure and allows gene transcription (16). Enhancement of retinoid activity is anticipated by combining HDAC inhibitors with retinoids (see later). FIGURE 4 Schematic representation of retinol metabolism. Abbreviations: CRABP, cellular retinoic acid binding protein; LRAT, lecithin retinol acyl transferase; RA, retinoic acid; RAL, retinal; RE, retinyl ester; ROL, retinol. of the retinoids at a higher dose (22). These agents have been called retinoic acid metabolism breakdown agents (RAMBAs) or retinomimetics. Azoles also inhibit the RA-induced expression of cytochrome 24-hydroxylase, which inactivates 1,25-dihydroxyvitamin D3. In human keratinocytes, all-trans-RA regulates its own biosynthesis from atROH through the regulation of retinol esterification and, as such, RAMBA-type agents are not optimal (23). Treatment with all-trans-RA induces retinol-esterifying activity in proliferating keratinocytes. LRAT was induced by all-trans-RA and reduces the conversion of ROH to RA, resulting in sequestration of ROH in REs. Acyl retinol acyl transferase activity is also present. Several other enzymatic steps have been identified, which if manipulated can deliver improved retinoid responses (24). 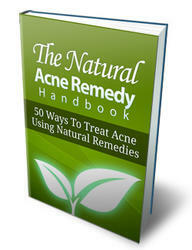 Download this Guide and Discover 50 Ways To Treat Acne Using Only Natural Remedies. About Time You Got Rid of Your Acne? 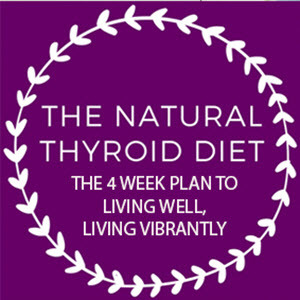 Inside this guide, you'll discover: 50 ways to treat acne using natural remedies. The benefits of treating acne using natural remedies. Natural acne remedies to treat acne scarring. 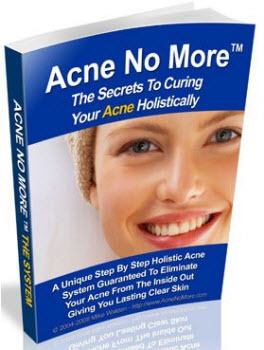 The side effects of popular acne medicines and treatments plus much, much more.